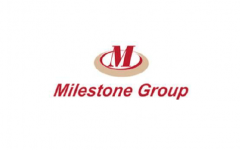 Business description - Milestone Furniture has developed the expertise in Space & work station Management, designing and innovation in Furniture used in Education, Healthcare and Corporate organizations. The company has also developed the In house technical & Design team to provide turnkey solution and implementation of interior and work space in Commercial, Residential and Institutions. The company has well established and high tech manufacturing equipments and Design facility to manufacture the various combination and size products as per the specification and design of client. Its Facility is located at 1st Floor, Aslam Compound, Shree Nagar, Behind Boghul House, Chandivali Road, Saki Naka, Mumbai, 400 072, India. The company has obtained the ISO 9000 certification for manufacture facility for quality. Milestone Furniture IPO allotment status is now available on Karvy Computershare’s website. Click on this link to get allotment status.